The Construction Research Centre at the TU Dresden as an interdisciplinary scientific institution was founded last year. On 11 April 2017 a tour of the Construction Research Centre was carried out for the guests of the Center for Energy Efficient Buildings Prague (UCEEB) and other interested parties. On 10 January 2017, Saxony's Prime Minister, Stanislaw Tillich, and the Deputy Prime Minister, Martin Dulig, announced at a press conference the support of Sachsen in the realization of the hub concept for the formation of a competence and innovation center. 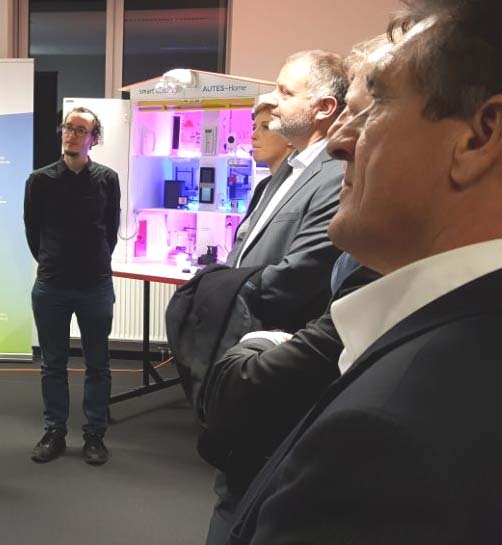 The goal is that Dresden will become one of twelve planned digital hubs in Germany with the topic "Smart Systems Hub - Enabling IoT" (Internet of Things).